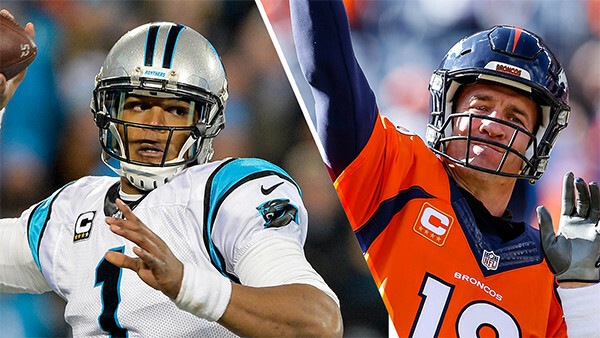 Super Bowl 50 is right around the corner, which means it’s time to break down some of the most anticipated matchups in the big game. Here are three epic battles to pay attention to next Sunday. Cam Newton and the Panthers were the number one offense in the NFL this season. The 25-year-old quarterback threw 35 touchdowns and over 3,800 yards. At nearly 40, Peyton Manning was sidelined with a plantar fascia tear for much of the season. Although some question his ability to keep pace with Newton’s moves, Manning has five MVPs, one championship ring, and remains a formidable opponent in what could be his last appearance. Carolina linebacker Luke Kuechly looked all but unstoppable in the NFC Championship. He locked in eight tackles, two assists, and an interception. Broncos linebacker Von Miller played a different position, but still put up five tackles, one assist, and two impressive sacks on the indomitable Tom Brady in the AFC Championship. Cam Newton doesn’t rely on his wide receivers as much as Peyton Manning, partially because he has other options. When he does pass, look for Corey Brown to rack up the yards on his way to the end zone. Conversely, Peyton Manning has no shortage of passing options. Emmanuel Sanders has six touchdowns this season and remains a deep threat in Super Bowl 50.